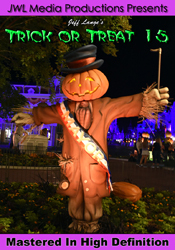 Join Br’er Rabbit, Br’er Bear and the gang on a trip through the laughing place! Boasting a five story flume drop and 68 Audio-Animatronics, Splash Mountain is one of the world’s most elaborately themed flume rides. 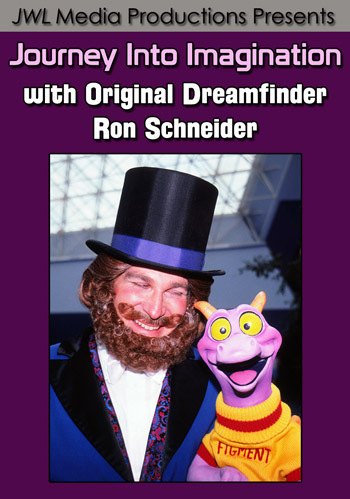 This was filmed during the Grand Opening of the attraction in October,1992. From your hollowed out log, you’ll get a glimpse of the 20th Anniversary Surprise Celebration Parade, which will transport you back almost 20 years to when Splash Mountain first opened. 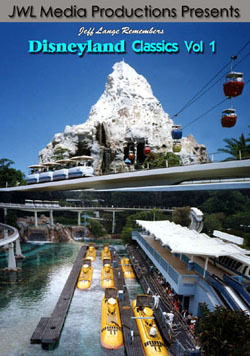 Includes coverage of the exterior, queue, and a complete POV ride from the front seat! Nearly 100 targets await as you enter Boothill in the 1850’s. Take your pick of a jail, cemetery, bank, and hotel as you fire with an infra-red rifle toward tombstones, buzzards, a grave digger’s shovel and more! Ricocheting bullets and howling coyotes lend to the atmosphere of this interactive shooting arcade where the scenery animates when you hit the targets! “Give me a little intro there, Gomer”! Henry, the genial Country Bear host kicks off the show and the curtains open to one of the most beloved attractions at Walt Disney World’s Magic Kingdom. This was recorded just as it re-opened after a six year hiatus as “The Country Bear Vacation Hoedown”, and features a cast of 18 bears along with assorted other characters! As you leave Grizzly Hall, you’ll see Melvin, Buff and Max as they welcome you to the Mile Long Bar! Features great close up footage of the bears compiled from multiple recordings! Clocking in at nearly 200 feet at it’s tallest point, the “Wildest Ride in the Wilderness” takes you on a rollicking, adventurous tour through the mining town of Tumbleweed. You’ll even get a glimpse of Cinderella Castle dressed as a cake for the 25th Anniversary of Walt Disney World! Exiting the attraction, a rainbow is visible as a geyser shoots water high into the air. Enjoy a different vantage point from the Walt Disney World Railroad, viewing Cousin Ed as he floats around in his bathtub and a Mike Fink Keel Boat that is docked nearby! 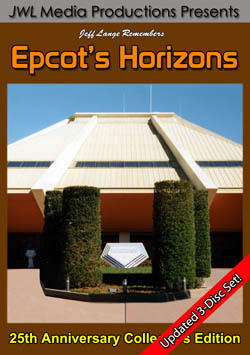 Includes full coverage of the exterior, queue and exit scenes! Check the Explorer Map to get your bearings before setting out for Tom Sawyer Island, where you’ll be transported to a bygone era. Walking through Old Scratch’s Mystery Mine, you’ll hear the wind and listen to the water as it echos along the walls. View gemstones in their natural splendor! Visiting Harper’s Mill, an owl makes known his presence. There is so much to explorer here, including the Tom Sawyer Scavenger Fort, and we’ll even make a quick stop at Aunt Polly’s – a former restaurant that served meals on an old fashioned porch! 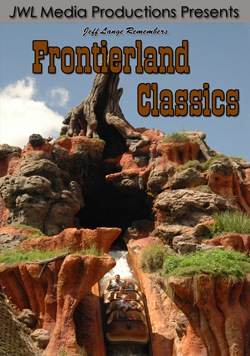 Relive these Frontierland Classics year after year or experience the magic for the first time by purchasing a copy of “Jeff Lange Remembers: Frontierland Classics”.